This statement is designed to tell you as much as possible about how we use and manage personal information provided to, or collected by us. We believe you should be made aware of our practices so you can make informed decisions about how you allow us to use your information. What kind of personal information do we collect and how do we collect it? We collect personal information in a variety of ways in the course of conducting our businesses. We collect this information so you can subscribe to newsletters, request a product or service from us, complete a survey or questionnaire, seek employment, or communicate with us by email, telephone or in writing. The personal information we collect may include your name, email address, phone number, and postal address. We may also collect demographic information, such as your ZIP or postal code, age, gender, preferences, interests and favourites. If you choose to make a purchase, we will ask for additional information, such as your credit card number and billing address which is used to create a billing account. If you choose to participate in these activities, we may also collect information from you that you provide in response to surveys. In certain circumstances, we may use personal information for promotional or direct marketing purposes. However, you may at any time request us not to use your personal information for sending direct marketing material to you. Such a request can be made by contacting us either in writing, by email or by telephone at the contact details below. There is no fee for making such a request. In many cases where we ask you to provide us with information about yourself, if you do not provide us with that information we will not be able to provide you with the relevant product or service. To the extent that our Website contain links to sites operated by third parties and not related to our products or services (“Linked Websites”), the Linked Websites are not controlled by us and we are not responsible for the privacy practices of those companies. Before disclosing your personal information to Linked Websites, we advise you to examine their privacy policies. We respect the privacy of personal information and we will take reasonable steps to keep it strictly confidential. We sometimes hire third parties to provide limited services on our behalf, including packaging, mailing and delivering items, sending postal mail, providing technical support, and other new services. We provide those companies only the information they need to deliver the service, and they are prohibited from using that information for any other purpose. We may also disclose your personal information if required to do so by law or in the good faith belief that such action is necessary in connection with a sale, merger, transfer, exchange or other disposition (whether of assets, stock or otherwise) of all or a portion of a business of our company and/or our subsidiaries or to (i) conform to legal requirements or comply with legal process served on us or the Website; (ii) protect and defend our rights or property and the Website; (iii) enforce our agreements with you, or (iv) act in urgent circumstances to protect personal safety or the public. Under no circumstances we will sell personal information without your consent. • How do I reject and delete cookies? We will take all reasonable steps to ensure that all personal information held by us is secure from any unauthorised access or disclosure. However, we do not guarantee that personal information cannot be accessed by an unauthorised person (e.g. a hacker) or that unauthorised disclosures will not occur. We will take reasonable steps to destroy or permanently de-identify personal information if it is no longer needed for the purposes for which we are authorized to use it. The Website does not offer information intended to attract children. We do not knowingly solicit personal information from children under the age of 13. You may request to access your personal information held by us. Such a request must be made in writing to the address below. First, we will require you to verify your identity and specify what information you require. We will grant you access to your personal information as soon as possible, subject to the circumstances of the request. In the same way, a request may be made to delete personal information, and all reasonable steps to delete the information will be made, except where it is required for legal reasons. 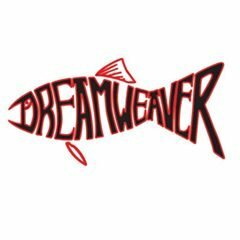 Deletion of information may result in Dreamweaver being unable to provide you with information about certain transactions, other content, services or product information, upcoming promotion, and/or provide you with certain content, goods or services. If you wish to cancel your subscription to a newsletter, you can either send us an e-mail to the address found on the website or carry out cancellation by using the respective link at the end of the newsletter. If you would like to make an access request or wish to provide feedback about this policy, please contact us by writing to Dreamweaver at 5712 Brookwood Place, Ludington, MI 49431 or via email as found on our website.